. : Сумка из меха цвета лаванды. Wow amazing series! Beautiful look, dress, depth of field in the picture. Wish you a nice weekend and all the best! Oh I just love that polka dot print. What a pretty spring outfit! Love the colour as well,. 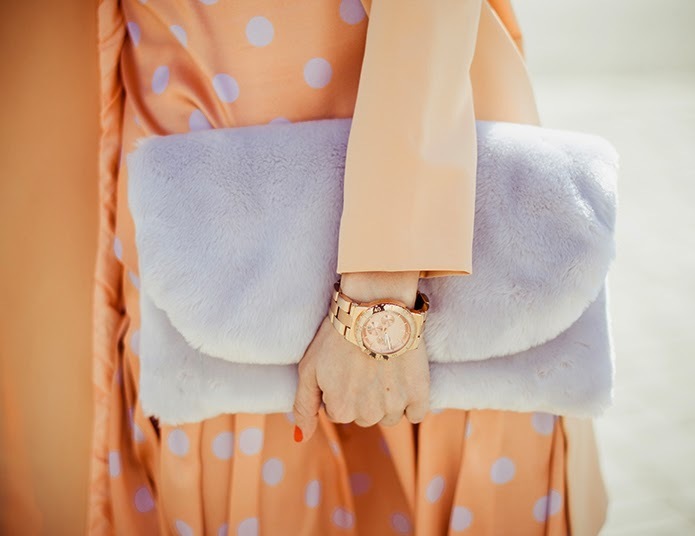 Love this pastel orange look! Such a lovely and girly outfit! You look fantastic! Татьяна, как всегда просто неописуемые образы!!! You look ABSOLUTELEY goergous in that outfit. Loving it! Looks a bit vintage but still really cute and romantic. So chic. LOVE IT. pretty girl,i love this outfit so much!!! а мне очень понравилась интерпретация тренча и платье расцветки polka dot!